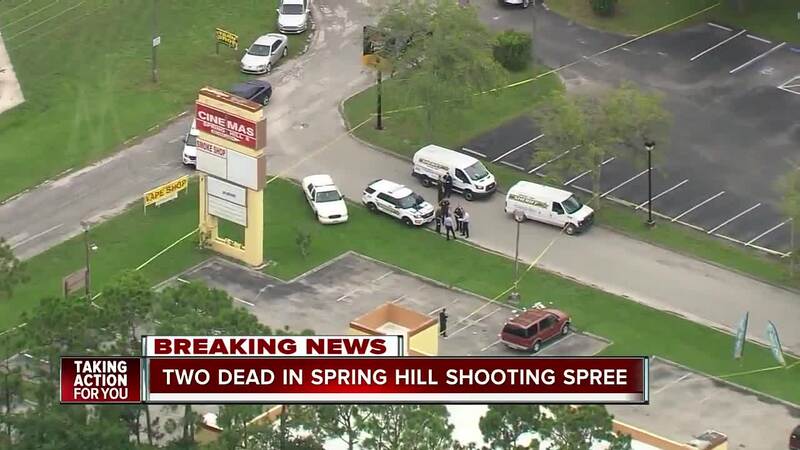 SPRING HILL, Fla. — Authorities are investigating a string of shootings spanning two counties on Thursday that left two people dead and another seriously injured. The Hernando County Sheriff's Office says that the first shooting took place in Pasco County around 2:30 p.m. off of Chestnut Drive in Hudson. Deputies say that Theodore Antonia Parker, 59, entered a residence and fired several shots at Tonya Haseman, 44. Property records show Parker owns a house at that location. Neighbors also telling ABC Action News that he has lived on Chestnut Drive for a few months. "Never, never have we seen anything like this, it's just so scary, but now that the guy's dead, we feel more comfortable," said neighbor Betty Berry. Pasco County deputies say that Haseman crawled to a neighbor's house and said she had been shot. He called 911. She was transported to the hospital with non-life threatening injuries. 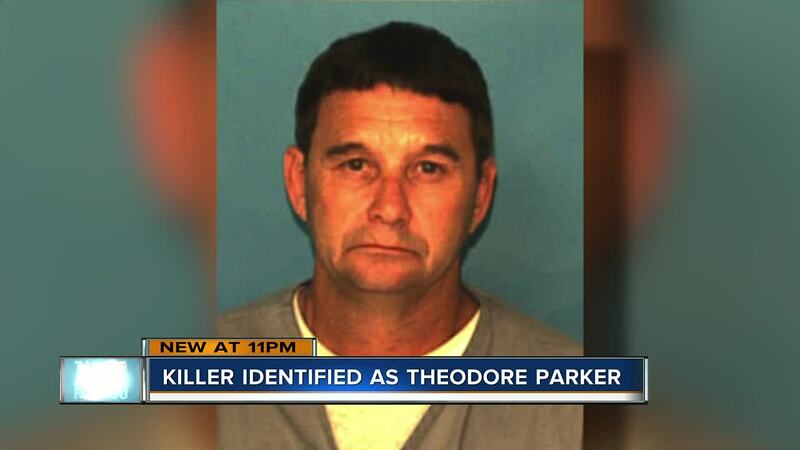 From there, investigators say Parker drove to Hernando County where he shot and killed James Rufus Elswick, 57, at a residence on Olson Road in Spring Hill. 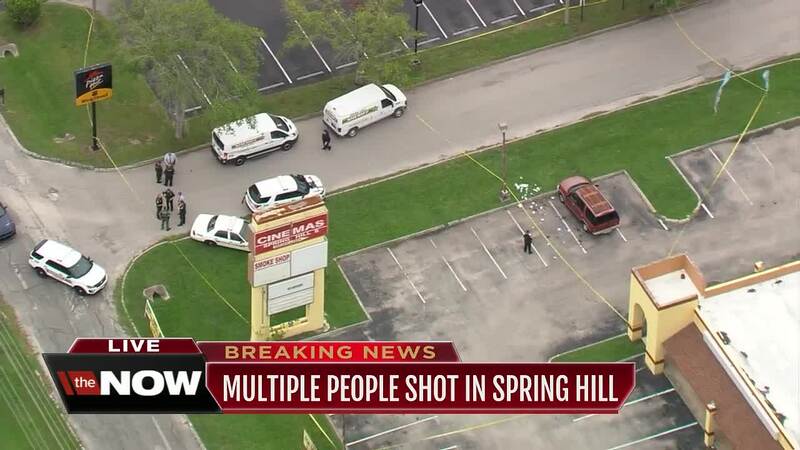 The second shooting occurred around 2:43 p.m. Neighbors recall hearing two loud pops. "All we knew next was she came running out screaming, 'James was shot, call 911.' And he didn't make it," said Shelby Delones. Delones says Elswick is her landlord and longtime family friend. Hernando investigators have yet to release the connection between Parker and the victim. "Just very sweet, always taking care of other people before himself," said Delones about Elswick. "He could barely walk without limping but he still made sure to work every day and take care of everybody who needed it." Approximately eight minutes after that, deputies say that Parker drove to Smokes Smoke Shop and Vapor Shop off of US-19 just north of Spring Hill Drive where they believe he attempted to rob the business armed with a firearm. At some point during the attempted robbery, Parker and the store clerk, who was also armed, exchanged gunfire. 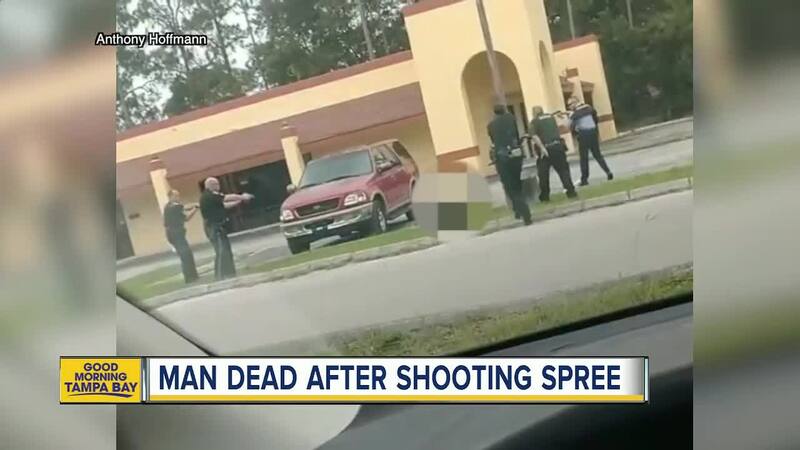 Both Parker and the employee, who was later identified as 35-year-old Richard Webb Jr., were shot in the exchange of gunfire and were transported to the hospital. Parker later died, deputies say. Webb remains hospitalized but is expected to make a full recovery. Hernando County Sheriff Al Nienhuis says that he believes that the suspect knew the victims at the first two locations. Deputies are still working on determining a motive.